Have you tried every planner on the market without finding the *perfect* fit? You start strong, using your planner every day, dutifully recording every appointment and to-do. But a few weeks later, your planner is collecting dust and your productivity has taken a nose dive. I’m going to be real with you: the problem might not be your planner…it might be your planning technique. With a few minor tweaks, your planner can become the perfect tool to help you maximize your productivity. This post includes affiliate links, This means that if you buy through my link I earn a small commission (at no extra cost to you). For details, check out my disclosure page. Thanks for your support of my site! Being able to prioritize is an essential part of productivity. When your mind is a jumble of ALL the things you want to accomplish for the week, writing a prioritized task list in a planner helps you identify the most important tasks for the week. I like to use the Productivity Planner when I’m working on a priority list because it forces me to actually prioritize. If you want to learn more about the Productivity Planner you can watch a walk-through video and read my review over here. I list to-do items from top priority to least important. This visual reminder is really powerful. Week after week, I know I just need to start at the top of the list, and work my way down. I also limit myself to four top priority items per week. If the 87 items on my mental to-do list are high priority, then frankly, none of them are high priority. Prioritizing means deciding what tasks ACTUALLY matter the most, and focusing on those tasks first. Action step: Use the to-do list section of your planner to make a prioritized task list. You probably use the time blocks in your planner or calendar to schedule your appointments, but try using them to schedule work tasks based on your energy levels, too. I tend to have more energy in the morning, so I always schedule mentally strenuous tasks, like completing freelance assignments, in the morning. I try keep mornings free from appointments so that I have uninterrupted time to work when my energy is highest. I put more mindless tasks, like scheduling social media updates, in the afternoons because I know I’ll be less focused. Using this strategy of energy management will help you maximize your time. You’ll get more done by matching your tasks with your energy levels. Action step: Use the daily schedule part of your planner to schedule tasks that match your energy levels during the day. You might have a well-planned week and the best of intentions, but if something comes up at the last minute, your whole schedule will be thrown off if you haven’t built in some buffer time. I’m someone who get stressed when my schedule gets thrown off, and I know I’m not alone. Here’s what works for me: instead of fighting the inevitable interruptions and “emergencies,” I leave extra time at the end of my week for overflow tasks. I’m much less stressed when my kiddo is home sick from school or I get a last minute social invite because I know that every minute of my week hasn’t already been spoken for. I can finish work on Fridays. On the rare week when everything goes according to schedule, I use Fridays to either get ahead on work for the next week, or to treat myself to a reality tv binge, a pedicure, or some other fun treat. Action step: Build in a little bit of spare time each day or a longer stretch of spare time each week so that you’ll never stress about running out of time. 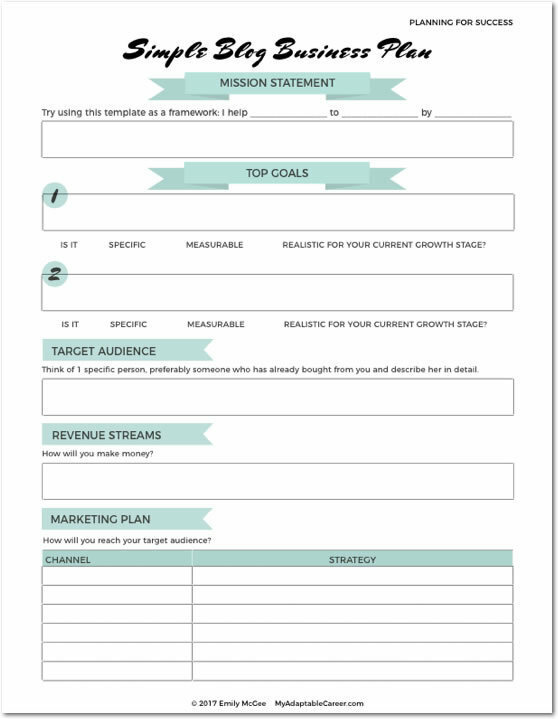 If you’ve got any responsibilities beyond your business (and who doesn’t!? ), then you have limited time and energy to get things done. Instead of fighting reality, set yourself up for success by choosing a single daily focus task. I’m 8 months pregnant and single-parenting my three-year-old for a few weeks. Needless to say, my daily focus includes really small, concrete tasks. One or two days a week I choose a blog-related task (ex. draft a blog post). One or two days a week, I choose a freelance-related task (ex. write 4 test questions). And once a week, I choose a life-related task (ex. get a new cell phone plan set-up). I let myself feel productive if I accomplish my one thing for the day. Anything else I get done is a bonus. Mindset is a key part productivity, so it’s really important to set yourself up for success. Instead of comparing yourself to others, accept the place you’re at, set reasonable expectations, and celebrate small wins. Instead of constantly feeling like I’m behind, or like my to-do list is un-achievable, I finish each day satisfied with what I’ve gotten done. This motivates me to get to work the next day, in spite of the challenges. Action Step: At the top of each day in your planner, write down your focus task for the day. Of course, all the planner hacks in the world won’t help if you don’t know what you’re working towards. Before you turn back to your planner, spend some time thinking about your goals. I’m sure you have both personal and professional goals, and you can make room in your schedule for both if you just get clear on what you’re trying to achieve. I like to write my goal on a notecard and hang it on my bulletin board so it’s always front and center in my mind. Try it, this technique will make it so much easier for you to prioritize (see #1) and choose a daily focus (see #4). Action Step: Determine your goals, write them down, and post them where you’ll see them often. Prioritize your tasks. List them from most important to least important, and only allow yourself to have 3-4 items in the “most important” category. Schedule your tasks based on their priority and your energy levels. Give yourself some buffer time in case tasks take longer than expected, or unplanned events pop-up. If your time or energy is really limited, pick a daily focus. Celebrate when you get that one thing done each day. You can use these tips with any planner or calendar, and many planners already have these features built-in. I use the Productivity Planner to help me prioritize. I love that it helps me dial in on a daily focus. Plus, it’s undated, so you can start using it at any time! 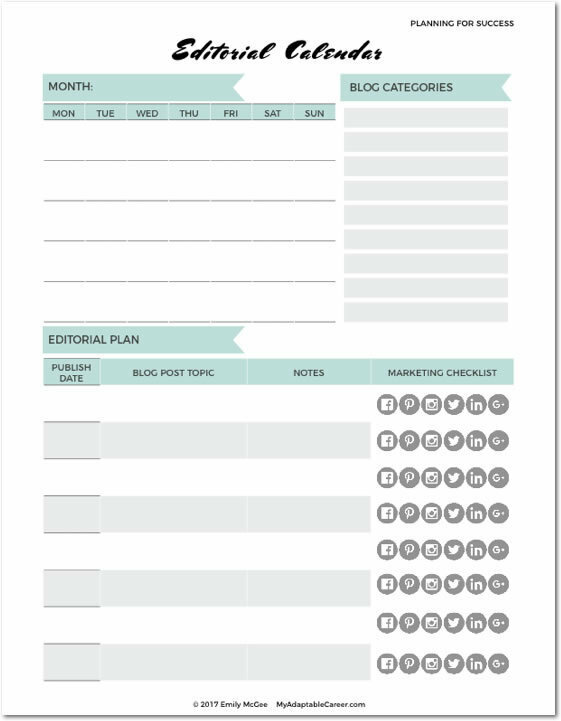 I also use the Erin Condren Life Planner, which is a weekly planner with an hourly layout so I can keep track of my appointments and schedule and add my work tasks to it. Looking for more time management tips? 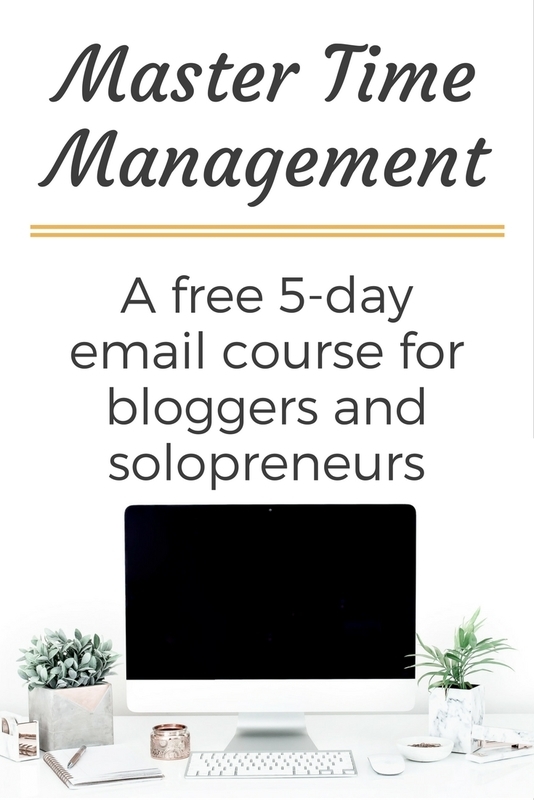 Sign up for Master Time Management, my FREE 5-day email course for bloggers and solopreneurs. Each lesson takes less than 10 minutes to implement! Well done on this one! #3 is huge! You have to leave room in between. Great tips. I especially need to work on number 4. My day can be all over the place but it goes better if I don’t intentionally plan it that way! Great point Anne! We can’t control everything in our day, but we can at least make a plan to help us stay on track when things get crazy! @Emily – Which of the many blogging aspects (SEO, Social Media, Affiliate Marketing etc) should I prioritize right now, as a new blogger? Great question! I’d say focus on your content (writing AWESOME blog posts) and social media marketing (to find people to read your posts). You might also want to check out my Blog Focus Finder quiz! It’s free and will help you diagnose what your next step should be!